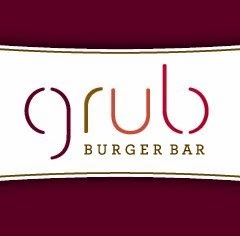 Grub Burger Bar has opened its first Philadelphia-area location this week in Willow Grove (159 York Rd., 215-800-0699). Gluten-free burgers are served on buns from Local Oven, and the sweet potato fries are prepped in a dedicated fryer. Many of the menu items at Blue Bell's El Sarape (1380 Skippack Pike, 610-239-9466) are gluten-free-friendly or can be prepared accordingly. An all-gluten-free "juice" truck is coming to Philly courtesy of The Juice. For now, owner Katie Rodger will deliver her superfood smoothies and desserts throughout the area, while juices are available for pick-up at various locations on the Main Line. Email her for ordering information. The gluten-free concession stand at the Wells Fargo Center, home of the Flyers and 76ers, is back for another season. Located on the main concourse behind Section 122, the stand has gluten-free hot dogs, chicken sandwiches, nachos, popcorn, peanuts, brownies, cookies and Redbridge beer. Reader Karen Z. let me know that gluten-free stuffing is now in stock at Trader Joe's markets. There are lots of gluten-free-related events on tap in the coming days. Tonight at 6:45 p.m. is the semi-annual Greater Philadelphia Celiac Support Group meeting at Abington Memorial Hospital (1200 Old York Rd.). Tomorrow, the Marlton ShopRite (307 W. Rt. 70) will host a Gluten-Free Festival with dozens of vendor samplings from 10 a.m. to 2 p.m. On Tuesday, I will be speaking at the Gershman Y in Center City Philadelphia (401 S. Broad St.) beginning at 7 p.m.; Sweet Freedom Bakery and Brulee Bakery will be supplying refreshments; advance registration is free or $5 at the door.